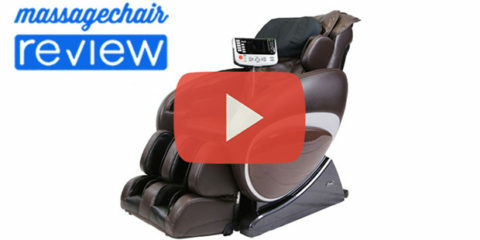 Two of the biggest names in therapy, Panasonic massage chairs, and Inada, recently released their newest chairs. 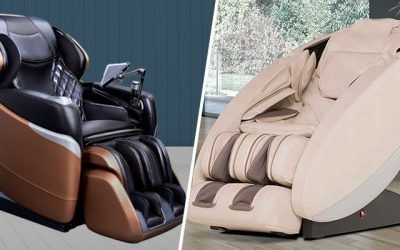 There is a lot of excitement for these chairs since Panasonic and Inada are two of the original pioneers in massage chair technology. 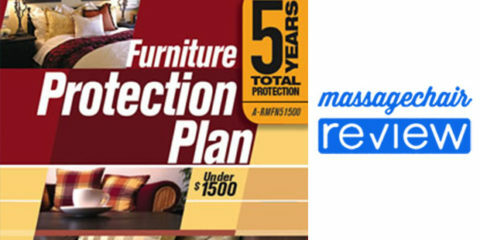 They include some widely anticipated features, and we wanted to take a look at one of the major design aspects that make these chairs so favorable. The Panasonic EP-MA73 vs Inada Flex 3s now have a large focus on “stretch” therapy. 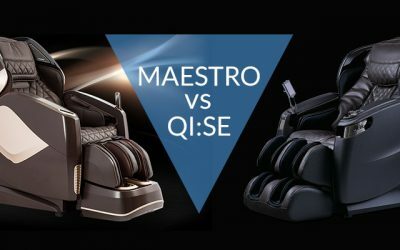 This type of function in massage chairs is in high demand and these two models are designed to offer the best stretching experience. 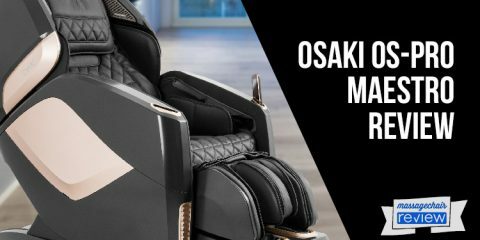 There are a lot of other chairs that include stretch, like the Infinity Iyashi, and the Osaki OS-3d Pro Dreamer, but these two chairs were designed with Stretch as a major therapy function. 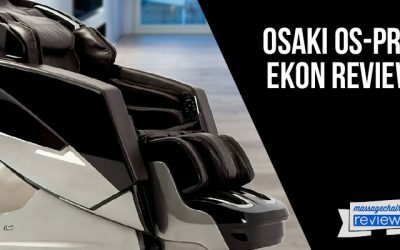 Since the Panasonic EP-MA73 massage chair is a top of the line chair, we wanted to just focus on the stretch functions against the Inada Flex 3S. There are a lot of differences in each chair, but for now we’ll just look at how the stretch compares in our Panasonic EP-MA73 vs Inada Flex 3s Massage Chair Stretch Feature Comparison. Both chairs come with easy to access stretch programs from the remote. The Panasonic EP-MA73 has them placed on the side of the remote as stand alone programs. 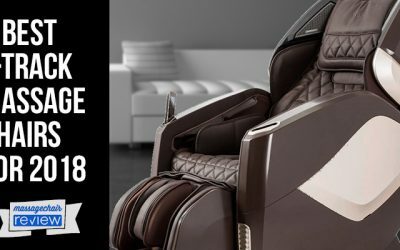 The Inada Flex 3s massage chair has 2 Automatic programs that focus on a massage and stretch, and just a full body stretch. The difference in the two is that the massage and stretch program will massage the back and use the airbags to massage during the stretch, where the stretch program uses these same functions to hold the body in place while it reclines and manipulates the body. The differences in the Panasonic EP-MA73 and Inada Flex 3S massage roller will also make the stretch experience more effective. The Panasonic EP-MA73 has 3 strength adjustments in its automatic programs which include its stretch. The strength adjustments will help stretch out the back and shoulders further. During manual stretch programs, the intensity can be increased or decreased through 5 levels of intensity. The Panasonic also uses different massage styles in combination with the airbags during the stretch program to make it as lifelike as possible. The Inada Flex 3s also has adjustments to it’s roller. These can help during the stretch program with the 3 levels of intensity and Max Intensity which increases the airbags and roller at the same time. 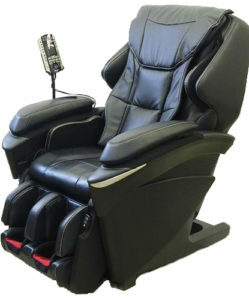 The Panasonic EP-MA73 massage chair has 4 different stretch programs to choose from. There is the Neck, Chest, Hip, and Leg stretch. Each program focuses on the different parts of the body and fully flex, and massage the body. All of the programs will help loosen up and relieve tight muscles in each area and manipulate the muscle tissue to help promote healing. The sophistication of the roller on the EP-MA73 helps intensify and extend the amount that can be stretch. The intensity of the roller also helps with the posture correction. The Inada Flex 3S has smoother stretch programs. The full body stretch uses a combination of the recline and airbags to manipulate the body. It’s a smoother more relaxing stretch. It’s a great light stretch to promote flexibility and blood flow, but won’t have the deep roller stretch effect like the Panasonic EP-MA73. The Massage and Stretch program focuses on both massage relaxation and posture alignment. 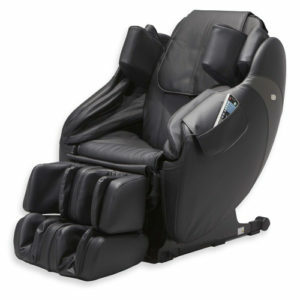 The Massage and Stretch moves through the back and airbag massage throughout the body, and alternates this with the different recline and stretching with the ottoman. 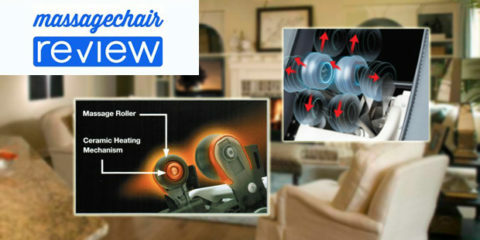 To help increase the effectiveness of the stretch both chairs have incorporated heat. The Panasonic EP-MA73 has heated rollers and heat located in the feet. 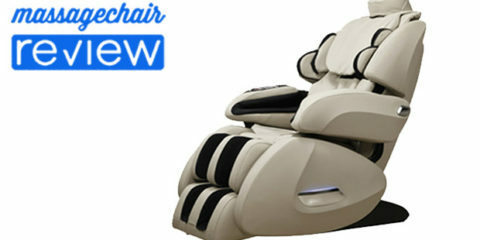 The Flex 3S massage chair has heat located in the lumber and hands. 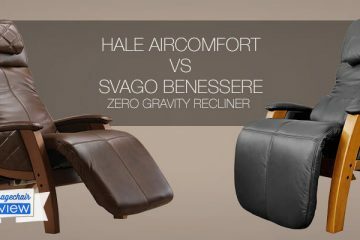 Neither chair has Zero Gravity but the recline angles in the backrest and ottoman are great for the stretch and other relaxation positions. 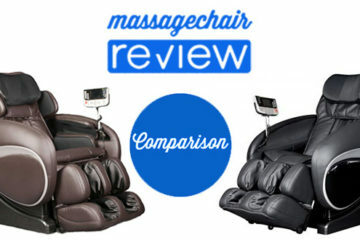 Both the Panasonic EP-MA73 massage chair and the Inada Flex 3s massage chair have quality stretch features. The Upholstery on both chairs is supple and high quality and helps accentuate the relaxation and stretching effects. The Inada Flex 3S stretch programs are relaxing and help the body feel more invigorated. The Panasonic EP-MA73 stretch programs are much more therapeutic. The stretching manipulates the body and focuses on deep stretch that helps improve posture further. 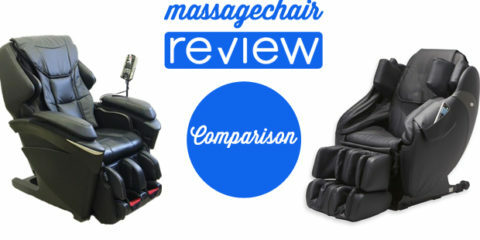 Both chairs are similar in price, but for people looking for a more therapeutic and a deeper stretch experience, the Panasonic EP-MA73 will offer a better experience. There are a lot of other chairs that offer Stretching but none as extensive as these two models. 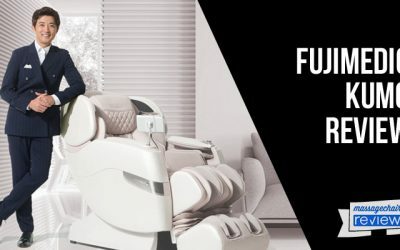 If you’re looking to learn more about other brands and features or to get personal massage chair recommendations on any massage chair please visit our preferred partner at Emassagechair.com.